My new readers may not be aware that I’m a Melbourne girl transplanted to Brisbane 30 months ago. 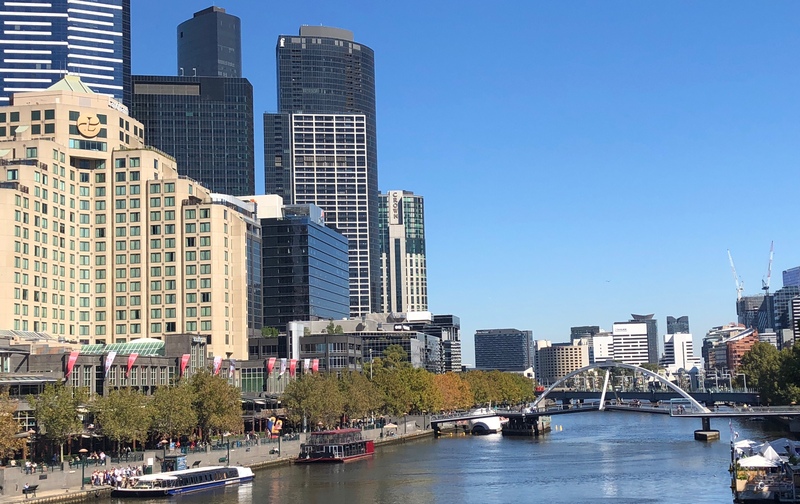 It took a while to settle, put down roots and regard Brisbane as home, but now I’ve leapt that hurdle I’ve succumbed to Melbourne’s siren call to immerse myself in the vibrant food culture so sadly lacking in Brisbane. After putting the family Easter obligations behind us, first stop was the Yarra Valley, famed for it’s wineries and scenery. Decades ago we called this region home. That was at a time when there were just a few super premium boutique producers and no cellar doors to visit, when it was sleepy and rural. The Yarra Ranges provide a misty backdrop to the lush green landscape of the valley, now punctuated with sleek architect designed multi million dollar winery developments sporting upmarket restaurants run by hatted chefs. 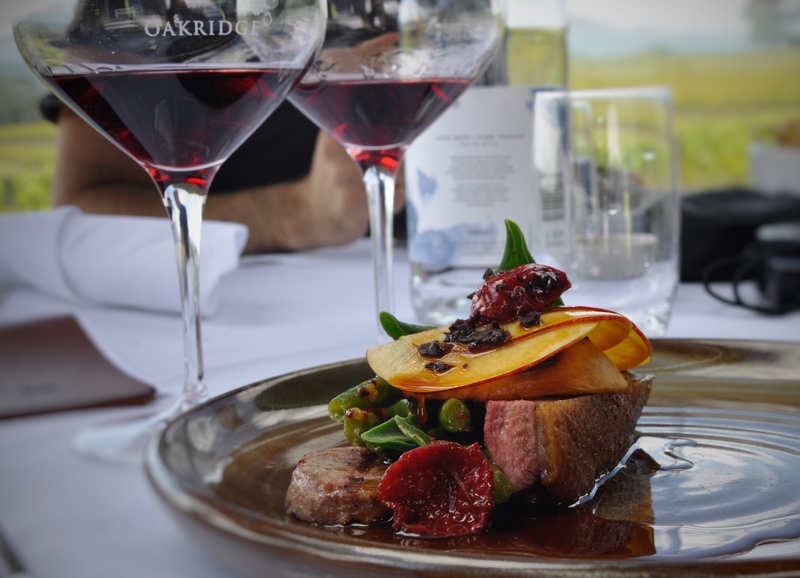 Our choice for lunch was Oakridge Winery, a sentimental favourite. We were neighbours before the winery’s relocation and entry into the tourist market. The amply decorated restaurant at Oakridge uses local ingredients and has a minimal waste ethos. We were well rewarded with delectable dishes each which contained a surprise element that was to be blunt, repurposed waste. The dessert menu featured a dish using potato skins made into a crisp and delicious sweet and crunchy wafer. Believe when it say it added an amazing textural element to the dish. A tasting flight of three Oakridge Pinot Noirs was the perfect complement to lunch and our table on the deck overlooking the vineyard was perfect. Even the weather was perfect. We couldn’t have asked for a better start to our holiday. The next day I began hunting and gathering. Having endured the 1800 kilometres by road, the reward for me is the opportunity to stock up with hard to find ingredients at home. 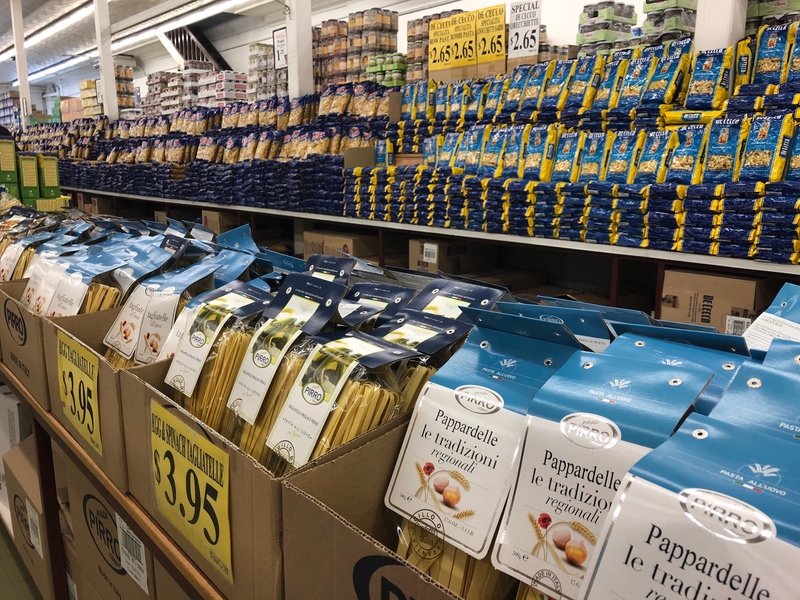 Our first stop was Mediterranean Wholesalers for Spanish and Italian rices, dried porcini mushrooms and the indulgence of unique Italian confectionary and grappa. Then we called at the Victoria Market, ate borek for lunch and hunted down a bulk quantity of much loved Mount Zero kalamata olives. Yum Cha in Brisbane is a major disappointment to me so on Day 3 we made a beeline to our favourite lunch spot in Melbourne, Red Emperor in Southbank. 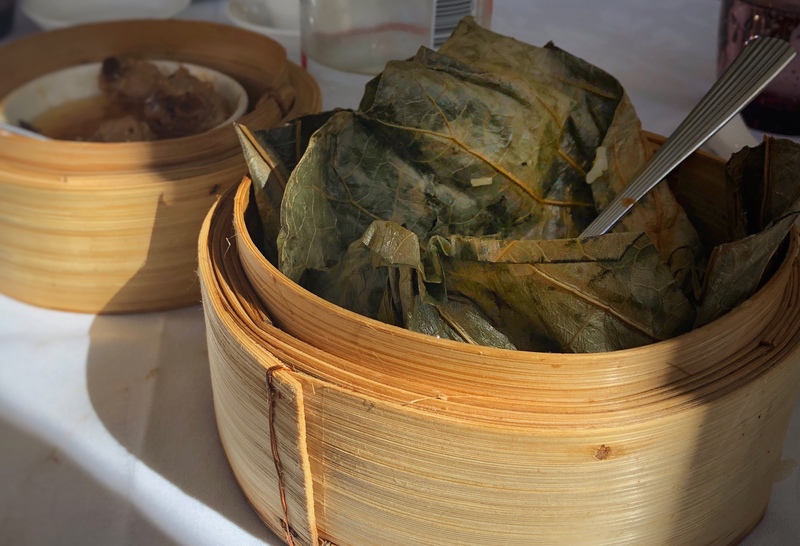 Freshly made dim sum with lively and individual flavour are served from trolleys circulating the busy restaurant. There’s an amazing array, both steamed and fried. We loved the rice paper prawns, steamed pork ribs with black beans, sweet pork buns, prawn and ginger how gee, tofu stuffed with prawns, fried octopus tentacles and shanghai style soup dumplings. I wish I had the capacity to try one of everything on offer, but a serve of steamed sticky rice wrapped in a lotus leaf is for me a must so I reluctantly shake my head as the trolley passes. Local cafes have drawn us in along the way too. The lure of good coffee is strong and while I’ve resisted ordering pastries and cakes I’ve sampled my fair share. Thankfully my companions are not so strong. I still have 10 days more of eating to look forward to…..
Catching up with things. I read this while at the beach and then forgot to say how much I enjoyed reading about your Melbourne sojourn. A trip to the Medit- always good, Oakridge Estate, a favourite of mine too, and a good yum cha by the river- Melbourne heaven. Having done that drive years ago, I hear you on the distance. What a lovely Melbourne foodie sojourn Mrs R. I especially loved your Yarra Valley moment description. Enjoy every moment and every bite. Ah, so Thomas Wolfe was wrong: You CAN go home again! I had to look up Thomas Wolfe, I’m much more familar with English literature than American, but yes, he got that one wrong. We visited Melbourne’s Immigration Museum with our grandkids yesterday. They thought it was mean that in the mid 20th century migrants who had an assisted passage had to stay 2 years. I understand totally…. It’s been a while since we visited Movida next door, enjoy….. The Victoria Market was one of my favorite stops when we visited Melbourne. What an amazing place! I don’t think there is anything like it in the US. Oh how fantastic! Think of me!!! This entry was posted on April 5, 2018 by ladyredspecs in Food and tagged Australia, food, Melbourne, Travel.